The search for extraterrestrial intelligence has looked for many different signs of alien life, from radio broadcasts to laser flashes, without success. However, newly published research suggests that mysterious phenomena called fast radio bursts could be evidence of advanced alien technology. Specifically, these bursts might be leakage from planet-sized transmitters powering interstellar probes in distant galaxies. To power a light sail, the transmitter would need to focus a beam on it continuously. Observers on Earth would see a brief flash because the sail and its host planet, star and galaxy are all moving relative to us. As a result, the beam sweeps across the sky and only points in our direction for a moment. 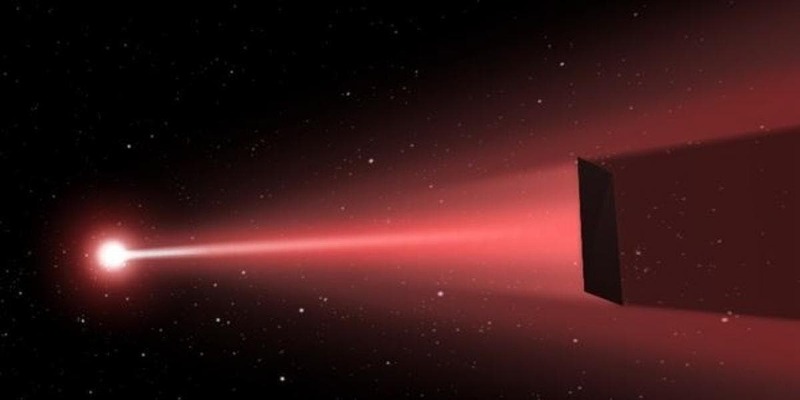 Repeated appearances of the beam, which were observed but cannot be explained by cataclysmic astrophysical events, might provide important clues about its artificial origin. The NASA image at the top of the page shows pulsar J2032+4127 (J2032 for short), the crushed core of a massive star that exploded as a supernova. It is a magnetized ball about 12 miles across, or about the size of Washington, weighing almost twice the sun's mass and spinning seven times a second. J2032's rapid spin and strong magnetic field together produce a lighthouse-like beam detectable when it sweeps our way. 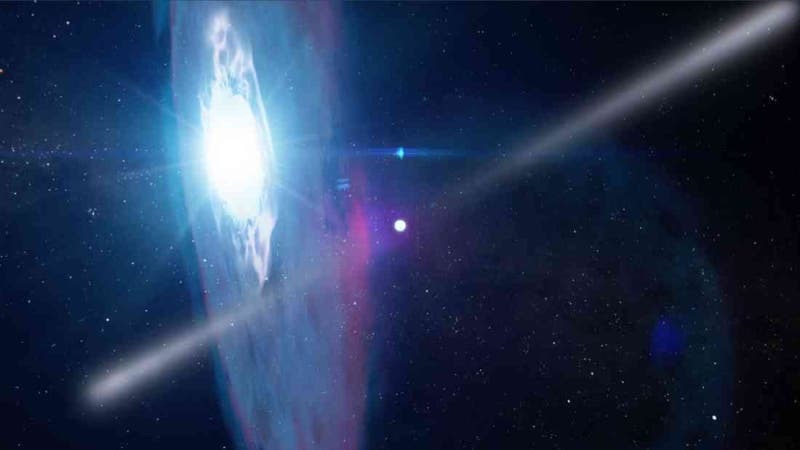 Astronomers find most pulsars through radio emissions, but Fermi's Large Area Telescope (LAT) finds them through pulses of gamma rays, the most energetic form of light.